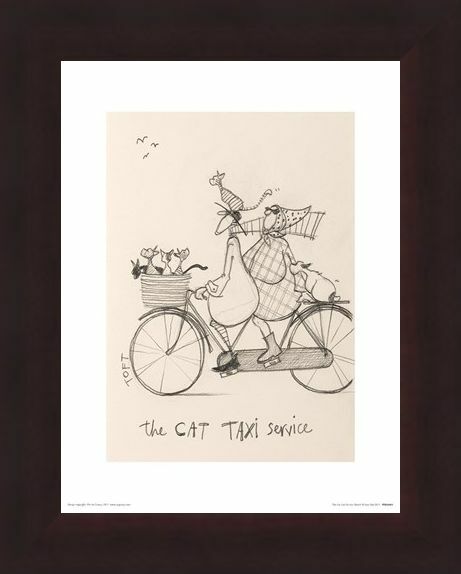 Most of us spend our lives being a taxi service for our kids but not the Mustard's! 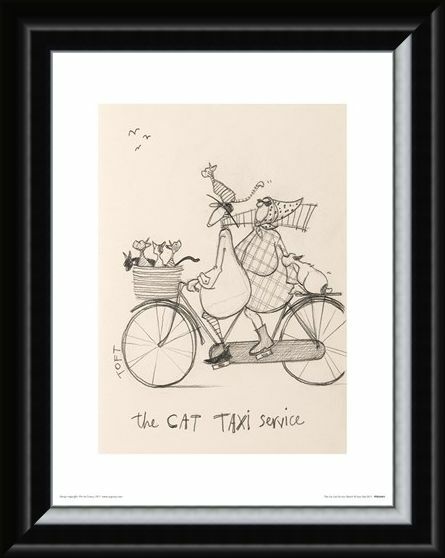 These crazy cat lovers take their feline friends with them wherever they go, whether it be in a basket or on their heads. 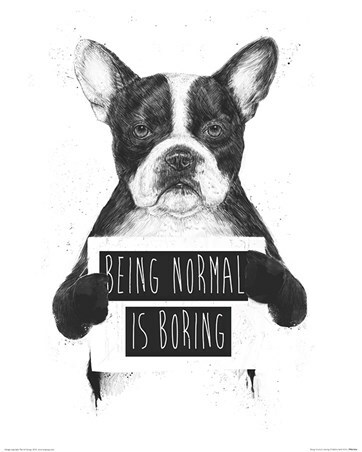 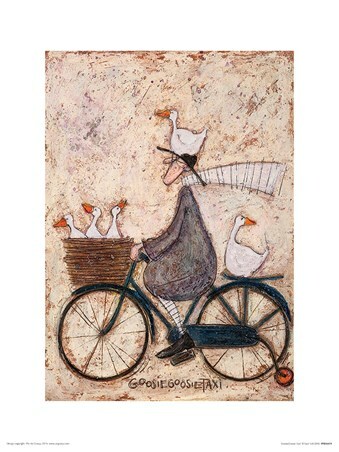 This gorgeous sketch shows off Sam Toft's raw talent and its simplicity adds a unique charm to the print. 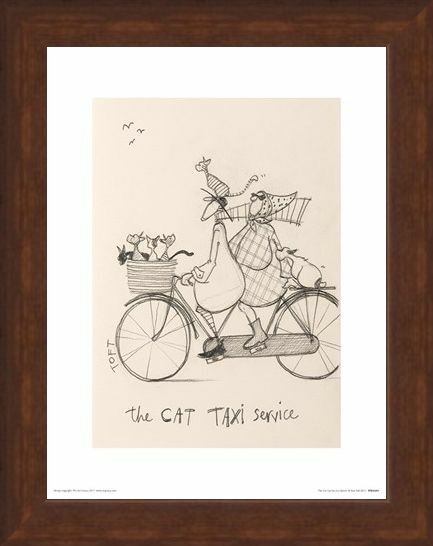 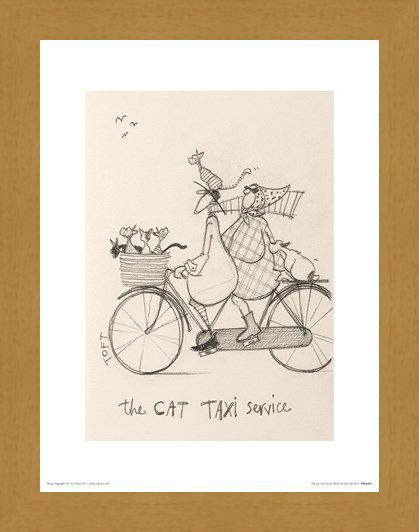 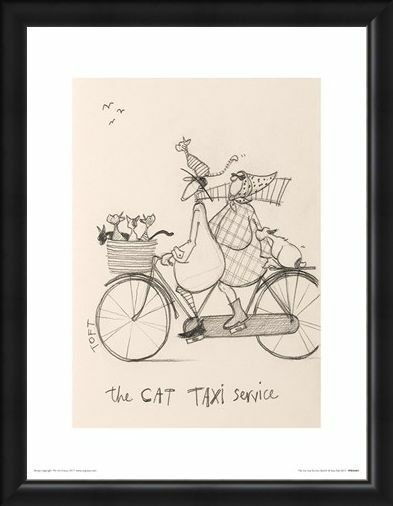 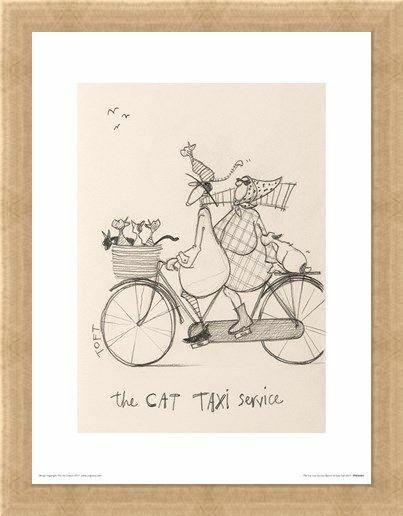 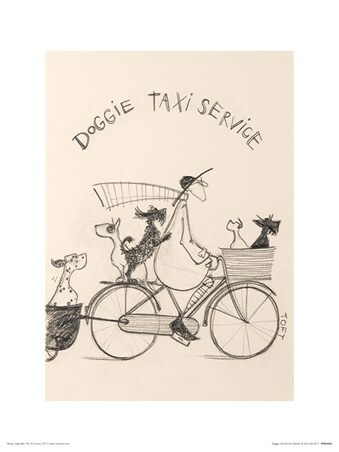 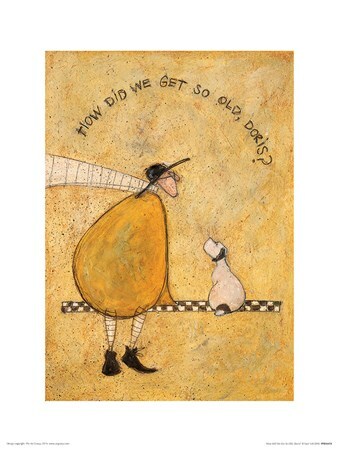 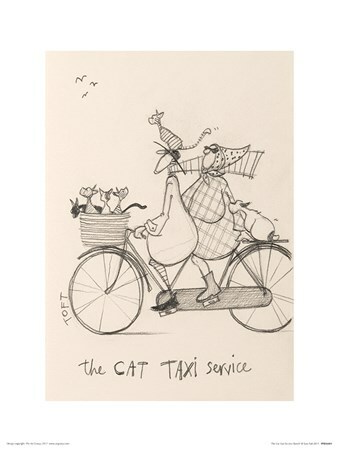 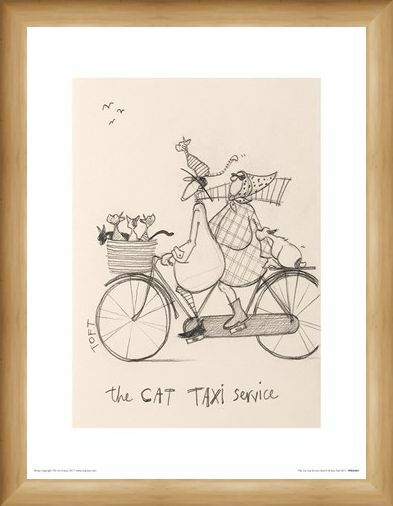 High quality, framed The Cat Taxi Service Sketch, Sam Toft print with a bespoke frame by our custom framing service.